That historically Black colleges and universities (HBCU) are struggling financially is neither a secret nor shocking to anyone who has attended or knows anything about these important institutions. The HBCU president has the responsibility to the alumni, students, and surrounding community of leading the schools out of this financial crisis or suffering the consequences of loss of accreditation, declining enrollment, and even closure. The real question is this: how do we achieve this seemingly elusive goal of ensuring the success of the HBCU while still upholding the college’s mission and longstanding legacy? Moreover, what role will ethics play in that decision? Before we go further, mentioning and establishing the importance and continuous impact of HBCUs is crucial. Rep. Bradley Byrne, co-founder of the HBCU Caucus said, “HBCUs are an integral part of the higher education mosaic in the United States. They provide opportunities to some Americans who may not otherwise have the opportunity to attend an institution of higher education.” Also, statistics show that HBCUs enroll more than 300,000 students per year and produce the highest percentages of Black doctors, dentists, engineers, public school teachers, and attorneys. With missions rooted so deeply in character, decency, dignity, and morality, HBCU presidents must also be held to those standards. With looming financial uncertainty, few alumni donations, and decreasing federal and state funding, HBCUs are left with the challenge of finding other revenue streams. What are the moral obligations? Ricard and Brown identified leadership, budget, accreditation and ethics as issues that will uniquely challenge HBCU presidents and require “maverick” decision-making practices. It is fathomable to understand that the challenges that face HBCUs are different than their non-HBCU counterparts. From its inception, the HBCU mission was different to that of any other institution, but what it has in common with other universities is that the ethical decisions it makes will be judged by society. Merriam-Webster defines the term maverick as an independent individual who does not go along with the decisions of a group or party. For instance, the Talladega college president was faced with the issue of whether or not to allow the band to participate in the 2017 Presidential inauguration. The president, the board, the trustees, and even the band came under fire after deciding to take part in it because the founding principles of the institutions did not align with the perceived inflammatory statements made by Donald Trump. The discussion received a lot of attention from the media, and Talladega College even raised over $600,000 as a result of it. The president of the college made a smart decision indeed, but did Talladega College put aside its morals and principles just to raise money and receive publicity? Alternatively, did the institution make the right decision? In 2010, the president of Alcorn state, Christopher Brown, II, said that his goal for “Alcorn was not to be a great HBCU, but a great university.” So as to achieve that purpose, he began to diversify the institution such that it included controversial hires of a high ratio of White faculty and staff. Brown was even able to raise student enrollment to levels that were the highest in the institution’s existence. He won awards and recognition for his transformation of the school; nevertheless, this all led to a state of inconsistent thoughts, beliefs, and attitudes among the alumni and longtime Alcorn supporters. Brown made some significant strides and was an effective leader through his decisions in the areas of diversity and enrollment at Alcorn State; however, what was the cost involved? Could too much diversity have caused the institution to lose its core principles, foundations, and teachings? The Thurgood Marshall College Fund is a supporter of HBCUs. TMCF recently has come under fire for accepting a $25.6-million gift from the Charles Koch Foundation and Koch Industries. The grant will be used to create think tanks on HBCU campuses. The controversy arises because the Koch brand has been associated with outsized influence on American conservative politics through financial contributions. Therefore, ethically, should HBCU presidents allow their schools to receive funds or have centers built on their campuses by the Thurgood Marshall Foundation if they know the source of that money may not share their values and mission? This ethical decision will undoubtedly affect the HBCU presidents shortly. Due to the unique financial struggles and enrollment challenges confronting HBCUs, an HBCU president will face unique and challenging ethical decisions. The role that ethics will play in the future of HBCUs may be significant and will determine the future of these institutions. Does the continuous existence of HBCUs warrant behavior that is not parallel to the institutions’ current and past moral visions and missions? Alternatively, can HBCU presidents develop strategies to achieve success through making the right ethical decisions? 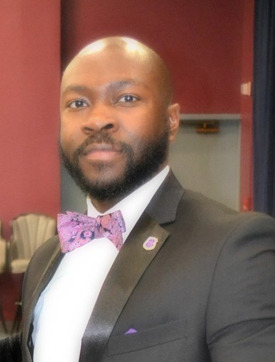 Ralpheal M. Moore is HBCU graduate and doctoral candidate in the Leadership and Management program with St. Thomas University.